During the last week of October, superstorm Sandy wreaked havoc across the Caribbean and the East Coast of the United States, causing extensive flooding, damage and power outages. Google responded by providing critical preparedness information in the form of a crisis map – this is the story of that map! Mark Neerincx: Extensive experience in fundamental and applied research on human-computer interaction for defense, security and health. Important achievements: cognitive task load model for task allocation and adaptive interfaces, models of human-machine partnership for attuning assistance to the individual user and momentary usage context, cognitive engineering methods and tools, and a diverse set of usability “best practices”. The the current means insufficiently help to share information and insights on (1) the states of the resources and environment, (2) the intentions and conditions of the persons in the disaster area, and (3) the work plan and progress. This keynote will give an overview of a situation cognitive engineering methodology aiming at the incremental development and validation of a requirements baseline for collaborative technology (with its design rationale) and its instantiation in several prototypes. 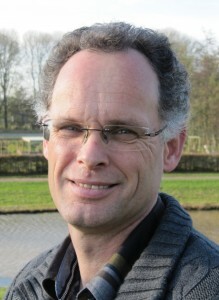 Jaap Smit: Graduate of the Rijksbrandweeracademie, 5 years at the District inspection of Ministry of Home Affairs, 6 years experience at the Dutch Institute of Physical Safety, 15 years in the Safety Region IJsselland, participated in the realisation of a national Crisis Management System. Currently he is the Information Manager Geo, with the operational function of Information Manager in the Regional Operational Team.